We’ve made it to the end, folks. For those of you who’ve been with us the entire 26 weeks, we thank you for supporting us and the local food system in Montana. I think it’s been a great season, and we at Helena Local hope you feel the same. This week, in preparation for Thanksgiving, have ordered up some potatoes, beets, carrots, and onions. Additionally, as a little extra surprise, we ordered some feta cheese that is delicious (I would know, I got some in my fun share this summer and I’m so excited to see it again!). The potatoes are a mix of fingerlings or Russets, so get here early for the best selection! We also have mixed beets again. All in all, it’s a pretty nice way to end the season. For those of you who did not get a pie pumpkin last week, we have them for you this week. Don’t forget to pick it up! And don’t forget, if you are interested in getting eggs over the winter, let us know. We’ve decided to wait until January to begin egg delivery–and we WILL be offering half dozen eggs every week, instead of biweekly like originally proposed. So that’s the latest. We hope you all have a wonderful holiday season and winter (get out and enjoy some skiing, snowshoeing, or winter hiking to beat off those winter “blahs”!) and we look forward to seeing you again next summer! We’ll be in touch next spring with respect to Summer 2016 shares. This week’s share is awesome, if I do say so myself. 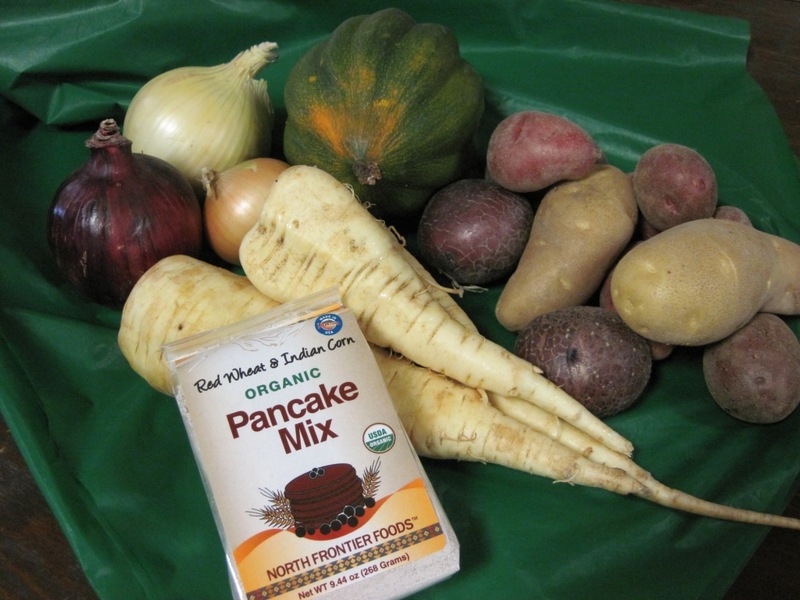 Sweet dumpling squashes, sweet onions, carrots, beets, and–what’s this? ?–POBLANO PEPPERS?! I’m thinking fajitas tonight, with some venison from the freezer. Next week, in prep for Thanksgiving, we’ll be ordering pie pumpkins! Happy local eating everyone!